Casual Coats Show Can Also Show Your Chic Looking! 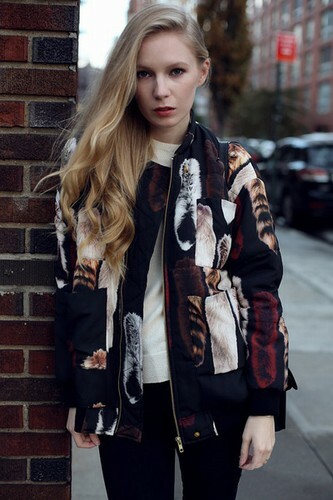 It is certain that you should have a piece of coats in autumn and winter time. What we have seen the most are these long coats with mainly materials such as woolen, cotton and so on. However, it is impossible for you to only wear one style throughout every winter time, or even the whole year. 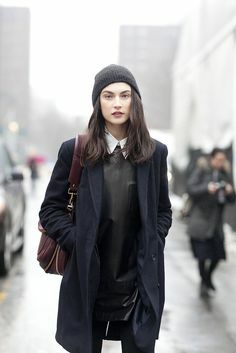 No matter how elegant, feminine and charming those various slim fit coats have shown to you, it will surely come to the day that you will feel particularly tired of them. Right this time, I suggest that you can have a try on these casual coats, for example, this woolen hooded coat. The all-matched patterns and mixed styles can surely show your different temperament and variety of attractive impressions. I am sure that you will be the fashion master walking in the street this time! Golden jackets, cool, overwhelming and gorgeous, matched with white shirts and black high waist skirts show you the combination of elegant and cool impression. There is no doubt that it can show you the cool and charming street style in the same time. Cotton coats in army green colors seem to be particularly popular in recent years. It seems that it will be especially unique for you to wear in winter. To be matched skinny denim jeans and black high heeled shoes, it will certainly show you the cool looking filled with cool and overwhelming temperament. Animal printed patterns with high-quality material are amazing indeed. To be matched with simple white under shirts and black skinny pants, you can also be the fashion master. There is no much cooler matching than black leather causal fashion. It can surely show you the delicate, simple and neat impression. To be matched with gray skinny pants and gray casual canvas shoes, cool and decent impression is particularly for you to show when you are going to have a trip.